1. What has been held (in different times and places) to make a society (or part of it) civil as opposed to uncivil (or barbarous)? What have been the consequences of such a distinction? 2. How and to what effect has civil society been distinguished as a domain or sphere of society from domains considered non-civil (if not necessarily uncivil) such as politics, the economy, the ecclesiastical or religious, the military, family and law? 3. What distinctions have been made between civil and civic, and to what effect? 4. What notions of society lie behind or are associated with notions of civil society? How have notions of society shifted from the medieval and early modern periods to the 19th-century birth of social sciences to contemporary debates about whether society exists or not? 5. Have notions of civil society (and society) been defined by law or by some other means, and what is the difference in practice? In what other ways does civil society get linked to law? Raul Acosta, Centre for the Study of Applied Ethics, Deusto University, Bilbao, has been working on orderly dissent in the contexts of the Brazilian Amazon, west Mexico and the Mediterranean. Jeffrey Alexander, Professor of Sociology at Yale, is the author of The Civil Sphere which begins with a history of the civil society concept in scholarship and then goes on to identify a ‘civil sphere’ of organisations in US society that have pursued a set of values through, for example, the incorporation of the Jews into post-war US society and the Civil Rights struggle. 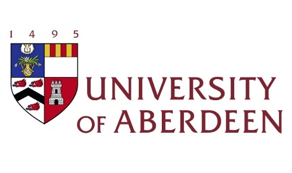 Matyas Bodig, Senior Lecturer in Law at Aberdeen, is a legal theorist who has worked on a range of issues concerning rule of law and the nature of the modern state. Michael Brown, Lecturer in History at Aberdeen, has written extensively on the Scottish and Irish Enlightenments, with a focus on civil society. Karin Friedrich, co-director of the Centre for Early Modern Studies and Senior Lecturer in History at Aberdeen, is working on the contribution of pre-modern civil society, especially in the Polish-Lithuanian Commonwealth, to reform and modernisation, the development of the rule of law, and modern forms of political engagement. Dmitry Goncharov, Professor of Political Science, National Research University Higher School of Economics, has published extensively on civic community in post-Communist society. Ajay Gudavarthy, Assistant Professor of Political Sciences at Jawaharlal Nehru University, has published on the history of human rights movements in India, as well as affirmative action programs and subsistence governmental benefits, and is concluding a critical volume on Chatterjee’s notion of ‘political society’. Philip Oxhorn, director of the Institute for the Study of International Development at McGill University, has published a number of books including Sustaining Civil Society: Economic Change, Democracy and the Social Construction of Citizenship in Latin America and Organizing Civil Society: The Popular Sectors and the Struggle for Democracy in Chile. Trevor Stack, director of CISRUL and Lecturer in Hispanic Studies, Aberdeen, is writing on how people in Mexico and California distinguish between law and what could be termed ‘civil sociality’. Andrea Teti, Lecturer in Politics & IR at Aberdeen, works on democratization in the Middle East and has published on the concept of civil society in the democratization literature. Ekow Yankah, Associate Professor at Cardoso Law School, is working on the appropriate role of virtue in law generally and criminal law particularly, including in relation to harms-to-self, prostitution decriminalization and moral agreement as well exploring new relationships between profiling under the threat of terrorist attacks, liberalism and government obligations. How are sphere-specific strains translated into problems for society as whole? Civil Society I: civil understood as broadest range of associations incl. small businesses, churches etc. NYT church 2008 pitted against society… using language of civil sphere: openness, accountability etc. For neither side is ever enough: standoff is always inevitable? Karin Friedrich: binary constructions—w financial, construction of we and them but how about people who took out mortgages etc. standards of journalism are quite civil e.g. fairness, objectivity etc. Hilary Homans: why was 2002 tipping point for church scandals? Need to distinguish The Church as faith-based organisations etc. e.g. can find Holy See negotiating with countries in events…. Ajay Gudavarthy: underlying assumption that maintaining social order + residual—what left out of non-civil spheres; being open can also be idea of market contractual relations—what point does it play each role? Conflicts w gender, working class etc. doesn’t happen without civil sphere: where do unions appeal for sense of justice? Andrea Teti: on binaries, signifiying chain although visualised as binaries bc border always has outside; how identifies logic of exposure? Hilary: what happens when citizens and civil society are displaced? Dmitri: what effect of prolifer of citix on informal institutions? Berlin: what is civility and where comes from? Ajay: wld need to look at specificitis to see whether moral take on violence etc. is cooperation a tactic to be discarded when achieved what want? Feels homogenous concept of civil society this afternoon vs. gender etc. Andrea: where does the state come from? Andrea: is cooperation only tactical etc., does this not get us into mental states? + also transntional actors such as organised crime, Catholic Church etc. +not just about states: institutions and their laws precede civil spheres by 1000s of years; utopian vision of civil sphere used to democratise law as well as using lobbying, elections etc. But global can’t be full civil society since no elections etc. : mainly anarchy, violence etc. Clubs and societies: participation w/o financial constraints etc. Numerous groups unable to participate: women, children, slaves etc. Michael: question is less about how treat each other in club, but how treat those in other clubs—e.g. in Ireland at time, civility comes into relations btw Anglicans, etc. e.g. key question: what does it mean to you to be a citizen? + when asked her my question—what does it mean to be a citizen?—CF began by replying: For me [citizen] means a person who enjoys all of his or her rights and carries out their duties. I don’t agree that you are a citizen when you are 18 years old, when you have your voting card. I associate citizenship with the rights you have as a person and the duties you have with respect to society. Or the people you live with. a. As many informants did, Claudia uses law to set in relief her understanding of citizenship in the eyes of society – it was not legal adulthood or a voting card that made for a citizen. even though recently often try to channel issues through govt depts. E. What has to do with revamped “sociedad civil”? Ekow for Aristotle polity can yes be unbalanced but not outright exploitation of one group over another, even of slaves—are we treating undoc workers worse than slaves? Tamas if saying diff normative principles apply to citizens and non-citizens, what dis relation of justice and civic virtue? 1. coercive society: censorship, restricted rights etc. Jeff haven’t talked about nation in conference, complex relation between civil sphere; long tradition of contrasting civic and primordial nationalism… how important that new Russia sees itself as alternative kind of nation? Andrey disagrees that attempt to replace uncivil solidarity of Soviet replaced by civil society afterwards, since various manifestations of civic ideal under Soviets; why did these virtues not travel to post-Soviety? Phil O: in Amazon hard to organise bc vulnerability and soy farms so big and so much inequality, even if extreme form in Russia; how to explain reaction to fires? Karen: whose civil? Whose society? Syria has tried to copy Soviet model and also has strong ties of religion, tribe, nepotism etc. Gostav: work on colonial cities—does civil society have concrete spatial terms? And can be multiple civl societies e.g.in urban neighbourhoods in 19th century Indian city where community around neighbourhood w local regulations; when someone insults from other neighbourhoods, have right to go and beat up person in other neighbourhood upholding honour; who is defining civil society?is there hegemony built into way cs defined? How to work w each other dissent? Ulisses: how state and non-state violence impacts activists/advocates? Any perception of state being obliged to protect them? James: what does civil society grow out of? Human society?